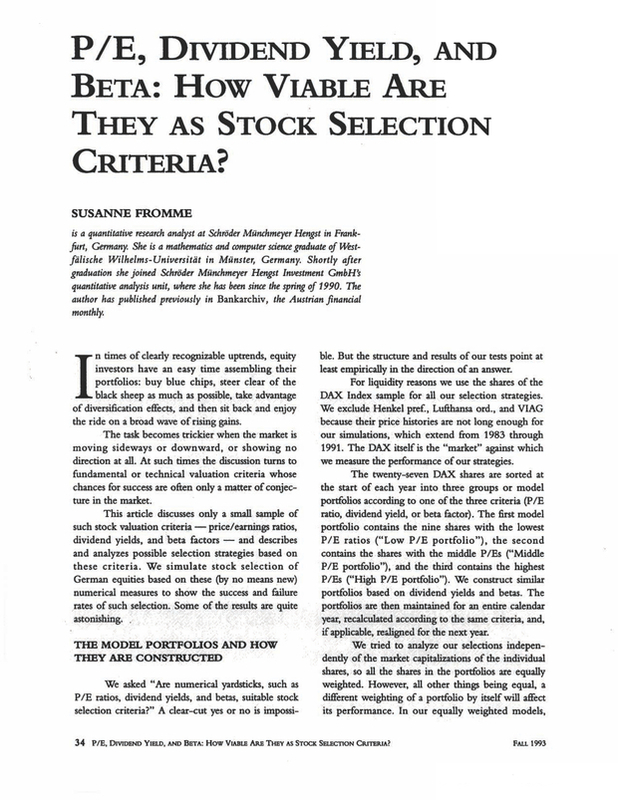 How Viable are they as Stock Selection Criteria? A quantitative research analyst at Schroder Mümhmeyer Hengst in Frankfurt, Germany. She is a mathematics and computer sdena graduate of Westfiilische Wilhelms-Univetsitdt in Munster, Germany. Shortly after graduation shejoined Schroder Mümhmeyer Hengst Investment GmbH's quantitative analysis unit, where she has been sinte thespring of 1990. The author has published previously in Bankarchiv, the Austrian finandal monthly.